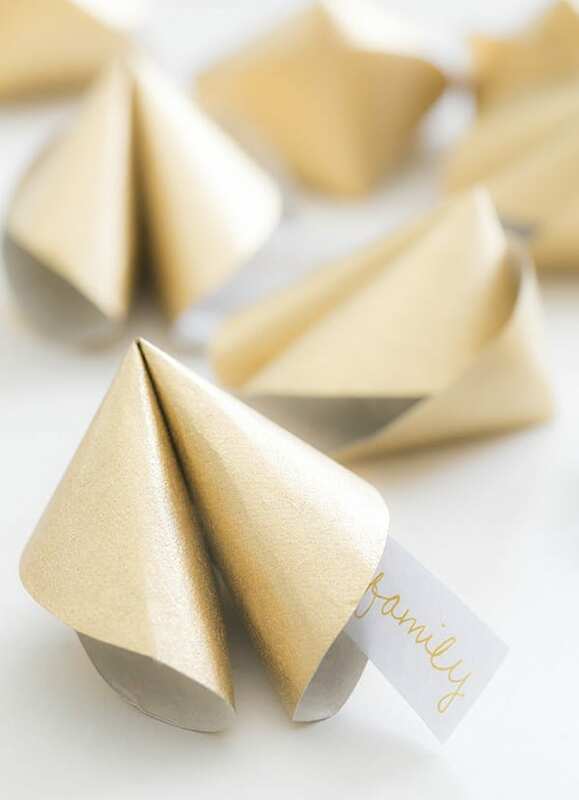 For any of you hosting a New Years par-tay, these DIY Paper Fortune Cookies are a great way to ring in another year! 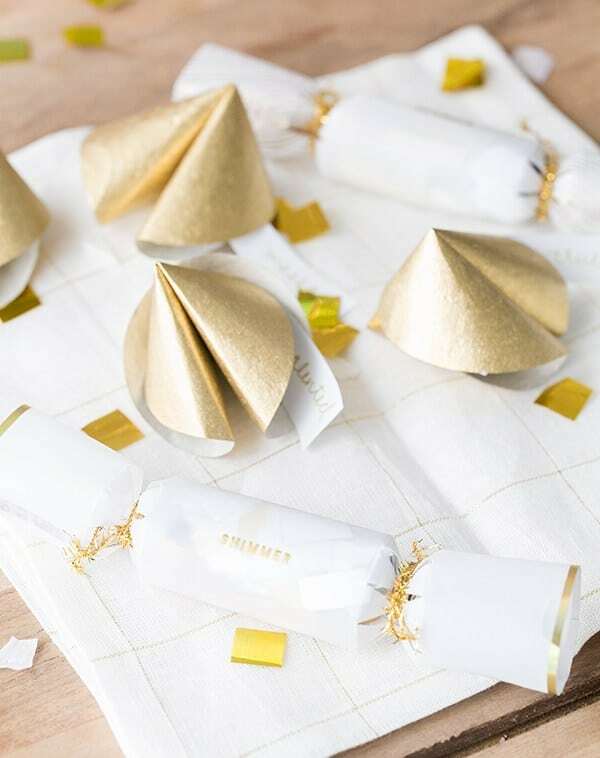 They’re a fun touch to add to the party, all while giving positive words of wisdom to start the new year off. 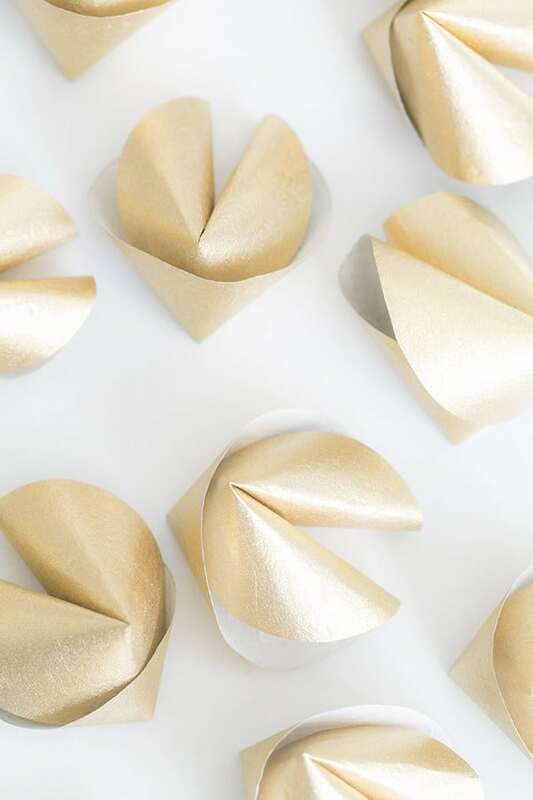 If you would like to pull an amusing prank, you could write ridiculous fortunes in your faux fortune cookies, but we’re keeping it sweet (like sugar) over here, and sticking with nice versions for our New Years celebration, haha!! Enjoy! 1. Cut paper into circles, about 3 – 3 1/2″ in diameter. 2. Lightly fold the circle in half and crease the center. 3. Open the circle and roll two sides backwards so they slightly overlap. 4. 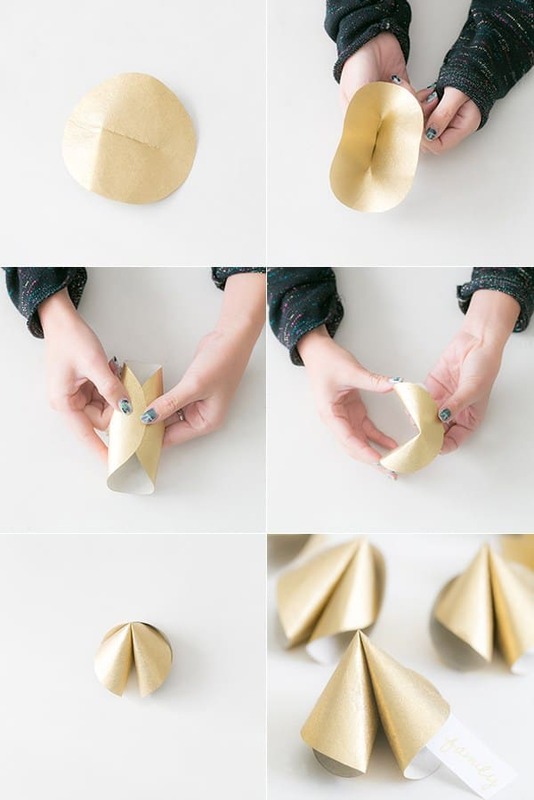 With one hand keeping hold of the overlapped sides, fold the top and bottom of the circle down. 5. 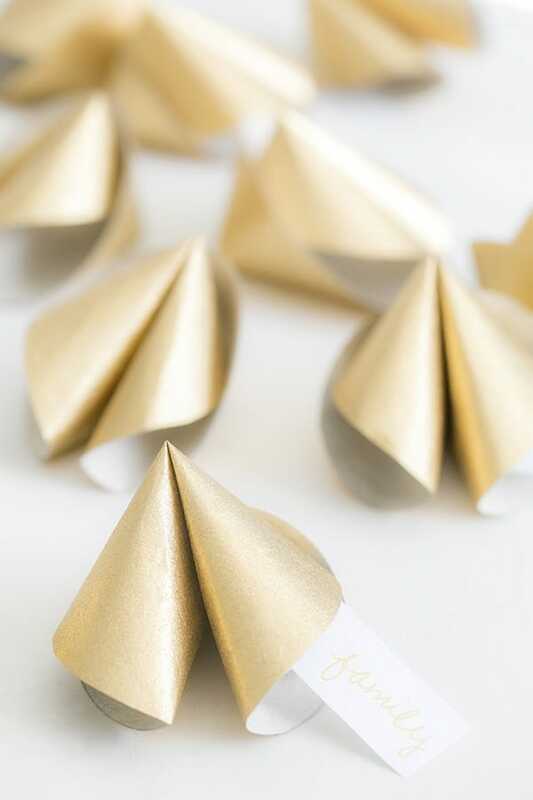 Put a dab of glue close to the center crease, and hold for several seconds until the fortune cookie is set. I love this idea! Adorable for New Years.